Among the top holdings of Millennium Management LLC comes PPL Corporation (NYSE:PPL) with 9,530,794 shares worth $338 million. Although the firm lowered its stakes in PPL Corporation (NYSE:PPL) by 27% but it is still the largest investment comprising 0.93% of Millennium Management’s overall portfolio. 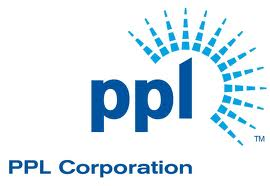 PPL Corporation (NYSE:PPL) reported net earnings of $229 million for the second quarter 2014 or $0.34 EPS. Hedge funds with maximum investment in PPL Corporation (NYSE:PPL) include Adage Capital Management ($227 million), and Luminus Management ($86 million?). American Electric Power Company Inc (NYSE:AEP) is the second largest holding in Millennium Management’s portfolio with 5,372,250 shares worth $299 million. American Electric Power Company Inc (NYSE:AEP) reported revenue of $4.0 billion for the second quarter with earnings per share of $0.80. Top three hedge funds investing in American Electric Power Company Inc (NYSE:AEP) include Aqr Capital Management ($84 million), and Arrowstreet Capital ($76 million). Devon Energy Corp (NYSE:DVN) comes at number three in terms of value of investments made by Millennium Management LLC with 3,542,338 shares worth $281 million. Devon Energy Corp (NYSE:DVN) achieved earnings of $1.65 per share for the second quarter 2014 with 47% increase in its operating cash flow year-over-year. Some of the major hedge funds investing in Devon Energy Corp (NYSE:DVN) include First Eagle Investment Management ($637 million), Diamond Hill Capital ($340 million), and International Value Advisers ($310 million).